Suryakantam Movie - Releasing on March 29th with US Premieres on March 28th. 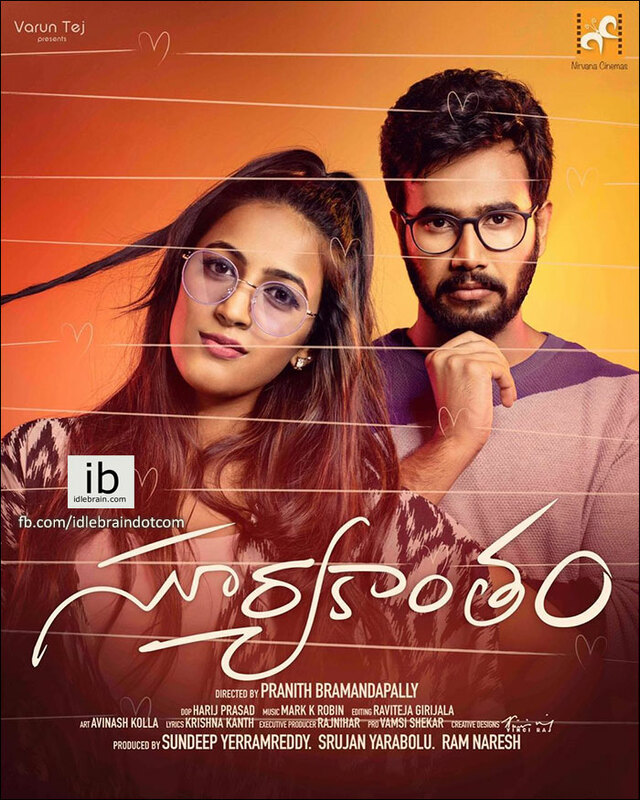 Flixelloid is happy to announce that we have acquired the Overseas distribution rights of the upcoming Telugu film – “Suryakantam” starring Niharika Konidela & Rahul Vijay in lead roles, Produced by most successful Overseas distribution house “Nirvana Cinemas” and Presented by “Varun Tej”. This romcom entertainer is Written-Directed by Pranith Bramandapally of Mudda Pappu Avakai series fame. Titled after legendary actress “Suryakantam” who is known for her versatile acting, our Suryakantam is a girl who turns the world upside down, a girl you can’t ignore, a girl you would have fallen for. The recently released first look posters generated good buzz and the teaser grabbed everybody’s attention which promises a new age romcom entertainer. Flixelloid is committed to bring content oriented movies to cinema lovers across the world and we are happy to collaborate with Nirvana Cinemas and would like to thank the Producers Sundeep Yerramreddy, Srujan Yerabolu and Ram Naresh for entrusting and giving us this opportunity. Slated to be released on March 29th with US premiers on March 28th. The music of “Suryakantam” has been composed by “Awe” fame Mark K Robin, while Raviteja Girijala is handling the edit and Harij Prasad is behind some mind blowing visuals as cinematographer.